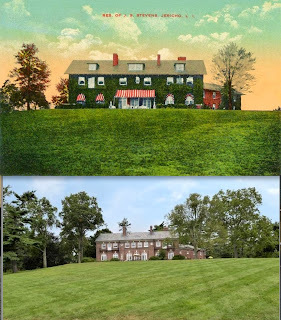 A Then & Now of 'Kirby Hill', the Joseph Sampson Stevens estate designed by Warren & Wetmore c. 1900 in Muttontown. 'Kirby Hill' is still on the market, click HERE for the current listing via Daniel Gale Sotheby's and click HERE for more on the estate. The current price is three times what they were asking almost three years ago. The interior renovations are most unfortunate. I guess the gutted service wing kind of explains why the dormers have been removed – the house was made smaller in terms of usable square feet. I think the exterior looks better without the dormers … but that attic became a dark place. $11.5M? Are they nuts? Scrolling through the Real Estate website you can find that irreplaceable Oak Knoll on 18 acres in Mill Neck is selling for $12.8M, Templeton in Old Westbury on 15.5 acres is $6.4M and an attractive gem by John Russell Pope in Old Brookville on 8 acres is a practical steal at $3.99M. I can't believe Oak Knoll is up for sale!! I hope it stay's safe. Norma Desmond politely asks that her bedroom furniture be returned. Oak Knoll is important enough that it should be saved for the public good---and manageable enough that it could be achieved. If this were England, it would already be in process. Drat. Really sad what has been done to the house. I don't know why it hurts so much every time I see a reasonably attractive home desecrated the way Kirby Hill has been. I guess money is not always allied with taste, but in the recent past they seem to be completely alienated from each other. 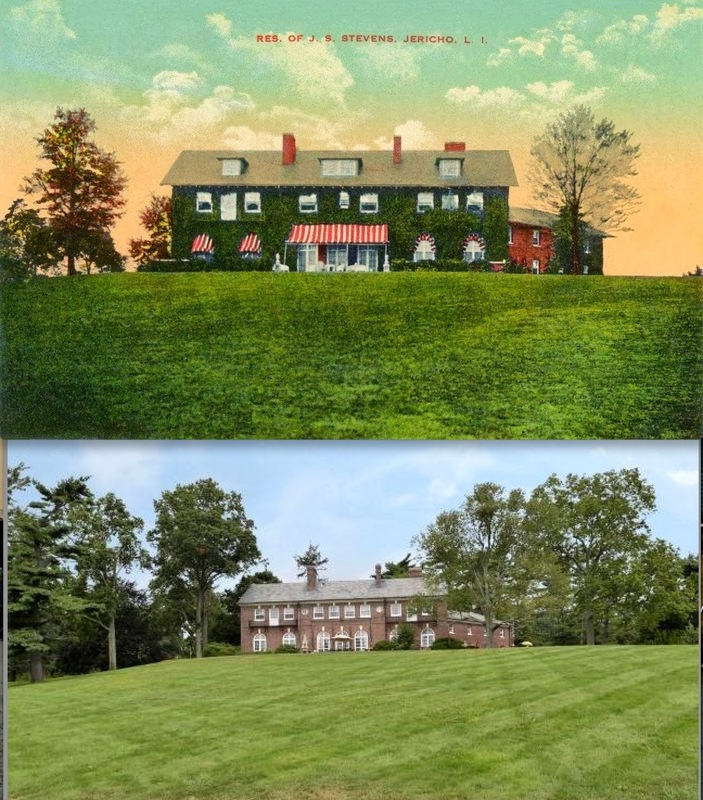 I don’t know I would say this house has been desecrated – there is still a nice piece of land around it, the exterior & ballroom are relatively unchanged, & the changes to the salon & the dining room are pretty much cosmetic. I’m betting the new kitchen/family room were to make this house more like its neighbors. Just like I bet this “new” area is where the family is going to spend most of their time; those big, formal rooms will sit quietly unused. Lord knows what that ballroom might become. I agree with Archibuff that the $11.5 million price is nuts. I suspect the developer is calculating what could be made by subdividing & building on the 7 acres. There -- my 2-cents on a Saturday morning. DFP... I'm not sure that 7 acres is subdividable. And a house of that size is already cutting it close with 7 acres (in my opinion it should sit on a minimum of 10 and more like 15). I would suggest the pricing is more reflective of what is going on in NYC right now as far as the upper, upper echelon units are concerned. Prices per square foot for new construction for the top 1% in Manhattan have at least doubled since 2011. I would say $2,500-$3,000PSF was considered pushing it as recently as only a few years ago and now for the top notch stuff it's $3,000PSF just to enter the door (and going for upwards of $6-8,000PSF in some cases). If a local Long Islander/NYer who appreciated historic houses didn't bite at $3.5 million in 2011 (which seems like a relative steal at this point), my guess is they're now aiming for an international buyer. Rumpus House was listed at the height of the previous boom for like $20 million (with subdivision approval). When I posted the above link two years ago it was listed for $9,950,000 (with 28 acres). Currently it's listed for $15,000,000. The good Shepard and Sinister were filmed in this house. Rumor is they were paying $150,000 per week. If that is true, it is worth every penny. I looked at the photos and video (for which I was asked to provide financials) The house came out great. Fully updated and has all the bells and whistles. I am short 10 mil which is what they want.